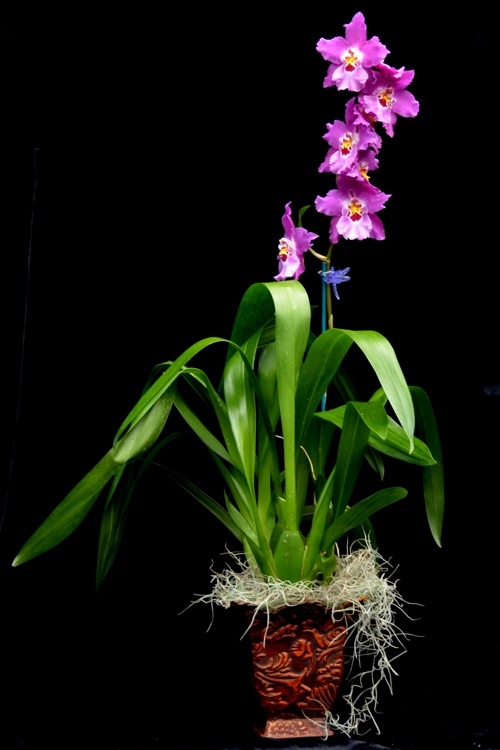 Some orchids are so beautiful, they can simply stand alone... 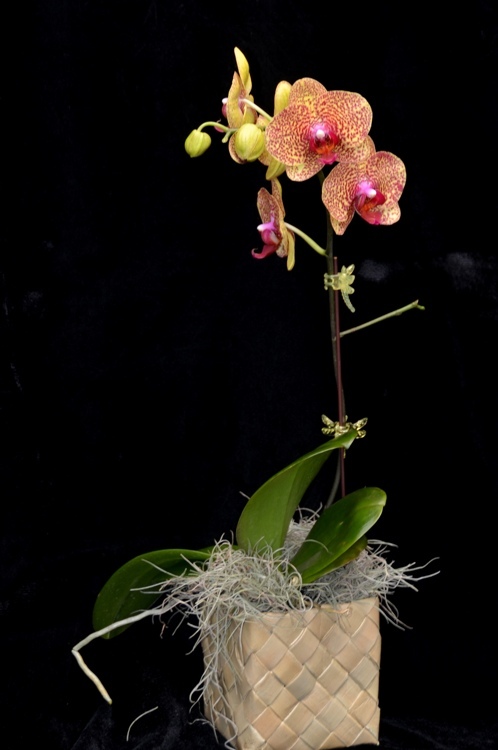 This basket offers a beautiful single orchid plant, perhaps a long lasting phalaenopsis, bright colored oncidium or dramatic lady slipper orchid. Colors may range between pinks, purples, whites, greens, yellows and deep violets. A perfect way to say Mahalo (thank you), Aloha Au i 'oe (I love you), or E ola (Get well soon)! 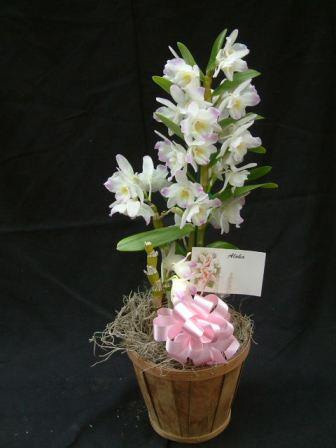 Basket pricing includes shipping, packing or on island delivery charges.